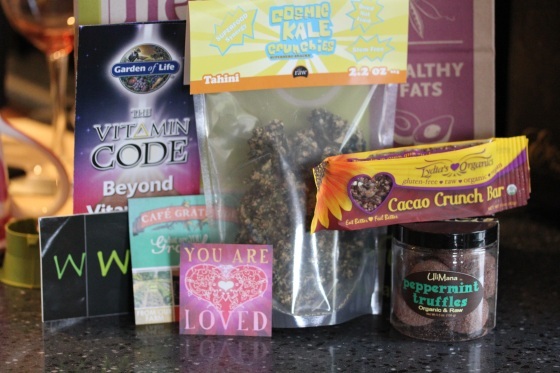 Bananas, Kale Chips & Another Giveaway! Today was a very quiet day at home thanks to it raining all day, we stayed in and cleaned, did laundry, watched TV, played in the kitchen and I got another load of clothes and household items together to donate. Decluttering feels so good! But the chihuahua is giving me the stink eye from being bored and stuck inside the house all day. 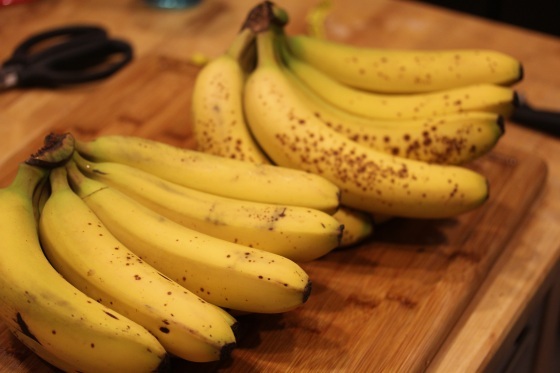 I also tackled my banana freezing project since the two bunches I bought last weekend were finally ripe enough to throw in the freezer. I just peel them, chop them up and throw into a freezer bag. The bag makes it easier to whack them apart when frozen with a rubber mallet for tossing chunks into smoothies, soft serve and protein ice kream. 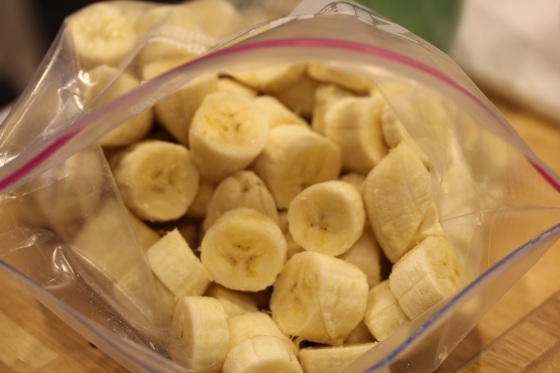 I’m not a fan of using disposable bags, but I try to reuse the them as much as possible, hard freezer containers make it impossible to pry and chisel the frozen banana chunks out. All the kale chip sampling yesterday had me craving more, great because I have a lot of kale to use up in the garden still. 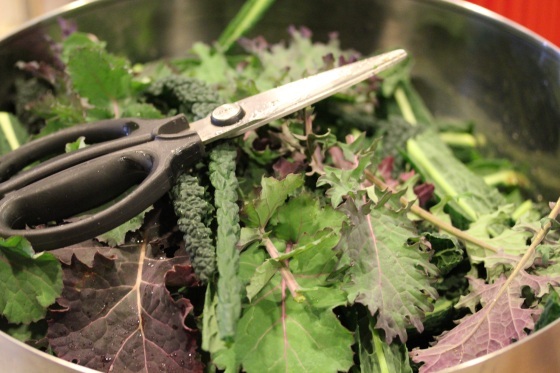 My kale is blooming like crazy for spring already, so I harvested a huge bowl for experimenting. Many of the store-bought kale chips annoy me because they’re loaded with nuts, super pricey and way too crumbly. A few bags I’ve tried were mostly crumbs, hardly any chips, and very messy to eat. It’s hard to look dignified with kale chip crumbs in your hair, all over your shirt and stuck to your face. Plus many seem to have way more calories than they should thanks to the sauce being mostly cashews. So I utilized my quiet day at home to experiment with a lighter and more flavorful recipe that was a success. This version reduces the amount of nuts/seeds in the sauce thickening it with carrots and adds more of a spicy nacho kick and creamy flavor to the chips. 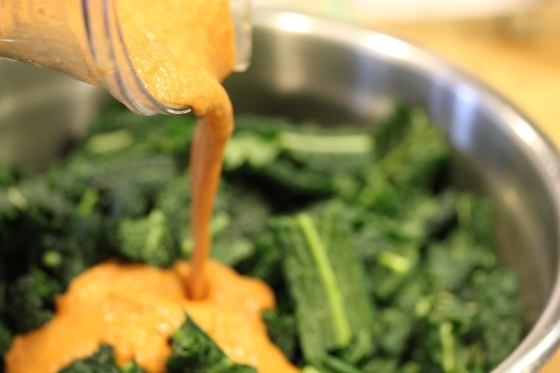 The sauce is pretty hearty and could be spread over larger batches of kale for even lighter chips since it has a stronger spice kick and a pretty orange color. :-) And these seemed significantly less crumbly! Leave a comment telling me which item you’d enjoy the most. Like my Facebook page and leave a comment confirming. Follow me on Twitter and leave another comment. I’ll pick the winner next Sunday and who knows what I might decide to add to the box between now and then. :-) Good luck! I can’t help it – I’d enjoy the truffles most, for sure! 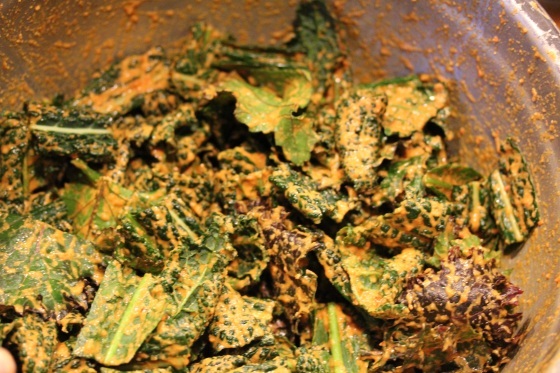 Your kale chip recipe is divine! I’m trying that. I would love to try those peppermint truffles! 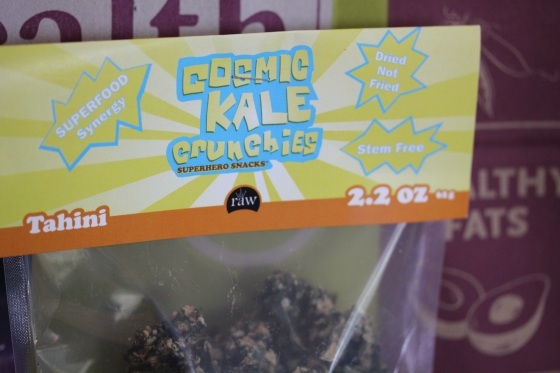 I’m a sucker for some kale chips but any of those raw goodies look fantastic! 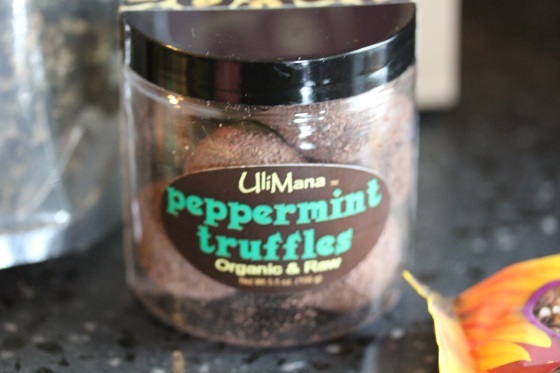 I’ve tried some of the Uli mana truffles before and they’re awesome. but the pink sticker = you are loved. would give that to skylar. 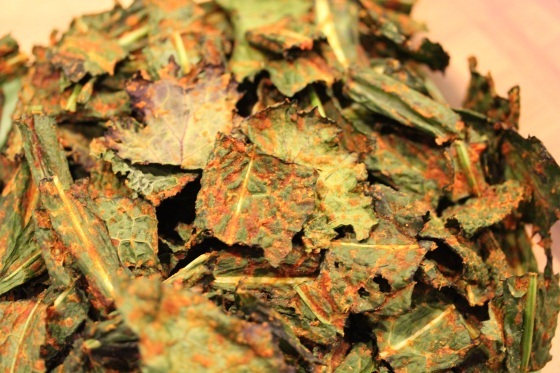 as for your kale chip recipe, long-ish ingredient list but love it!!! i love that you used turmeric, carrots, chili and cayenne. YUM! Totally the UliMana would be my fave! All of these items look so good!! I want those truffles! 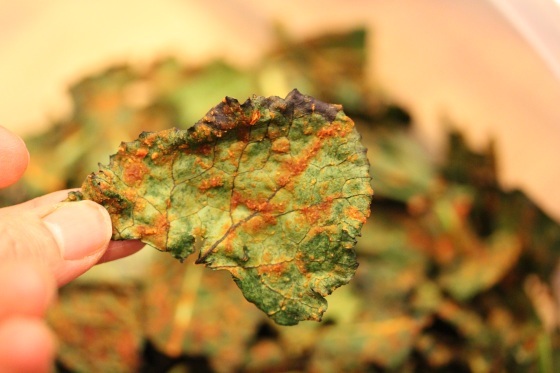 Your kale chips look better than the store-bought ones for sure! It all looks delish, but I HAVE to have peppermint truffles! YUM! Wow! I just came across your blog because I was looking for a raw chocolate mint recipe, and I saw your brownies (looks soooo good!) I’m glad I found it :) Can’t wait to read more! I would probably enjoy the peppermint truffles the most-I just love chocolate mint! peppermint truffles! those look good! i like the stickers too! 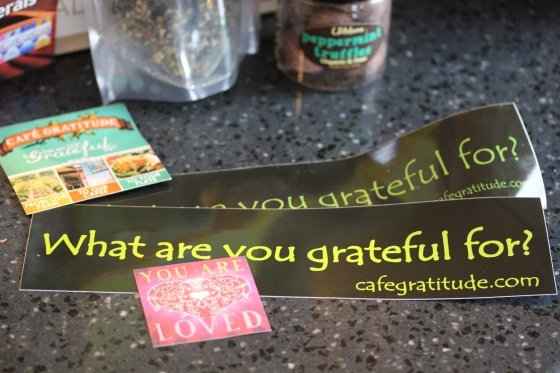 I really like the “what are you grateful for” sticker, love that because we really do have so much to be grateful for and our focus when turned to those things helps us to make our world a better place. I also love anything Lydia. Thanks for having this giveaway! I agree with you, most store bough kale chips are too crumbly. I prefer homemade too. I would love the peppermint truffles. I like to freshen my breath while eating chocolate. I’m starting my own raw project and don’t have a dehydrator yet, thus I am desperate to try these Kale chips everyone is talking about. Nor have I ever had a raw truffle. 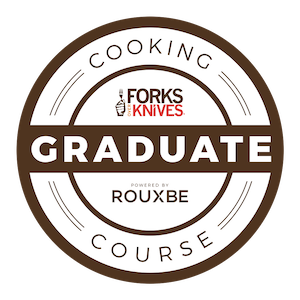 This is a pretty fascinating food world. I just made my first batch of almond milk this week. Any advice on what to do with the almond pulp? What a nice variety for your giveaway! With all the choice items to pick from, I’d have to say the Peppermint Truffles. 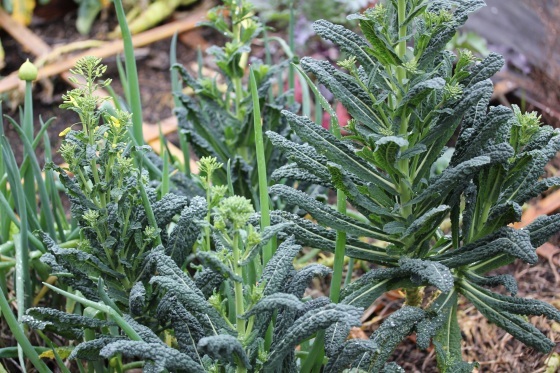 :-) Look forward to trying your Kale Chip recipe. Thanks for posting the giveaway! 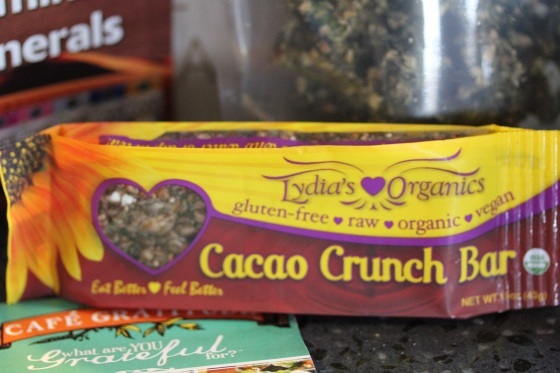 I’d like the Lydia’s Organics Cacao Crunch Bar the most! By the way, I just “liked” you on Facebook! Kale chips for sure! 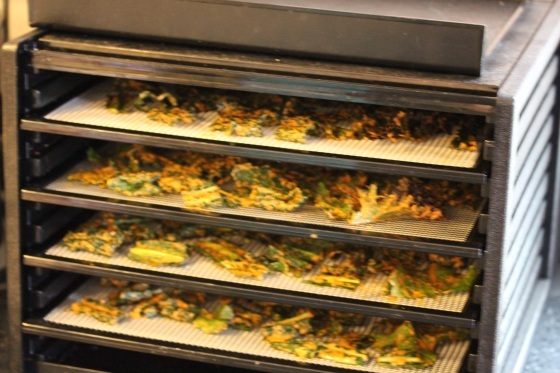 I’m dying to try them but I don’t have a dehydrator!